Is Your Social Strategy Effective? Social media is often hailed as the end-all and be-all for businesses that are trying to interact with consumers on a personal level. It’s true that social media has broken down some of the traditional barriers that exist between businesses and their customer bases but that does not mean that all social media content is created equal. Are people interacting with your posts? When you post content is there a response, or is it the Facebook/Twitter/Instagram equivalent of hearing crickets? Of course the answer to this question will vary based on the actual content, so pay attention to what seems to be working and what is getting too quiet of a response. Are you posting at the right times? While it might seem like people are always on Facebook or Twitter, the truth is that there are peak and off-peak times. You should always be taking advantage of the best times to make content live. If you can’t be at your computer, tablet or phone at that time, use a scheduling system to tap into the most eyes on your content. An Adobe report that analyzed 226 billion Facebook impressions found that Fridays are the best day to post, based on traffic and on amount of interactions, followed by Thursdays and the rest of the week. Research which social networks see the most interaction and when and then post accordingly. Are you spending strategically? If you decide to use paid means to chase down more fans, followers, and revenue on social media, do your research first. Who is your audience? Who do you want your audience to be? Is there a secondary audience that also deserves attention? Decide how much money you want to spend and then make the most of that spending by really going after the audience you want. Can you keep up? It is better to actually devote the needed time to a smaller amount of social networks then to set up profiles on every one you come across. The amount of time you commit to maintaining your social media accounts reflects on your business. Are you seeing results? An important part of a social media presence is just that – the presence. You should be seeing some results for your efforts though, in the way of more traffic on your site or blog or through higher sales. If there is a particular social network that seems to be netting more traffic, funnel more energy into it and avoid trying to build up networks that don’t seem to be giving your brand or small business the same kind of lift. How do you determine the success of your social campaigns? 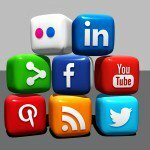 This article was syndicated from Business 2 Community: Is Your Social Strategy Effective?